The foundation of good health is in the gut. The key to a healthy gut is the quality of the microbial community that lives there. 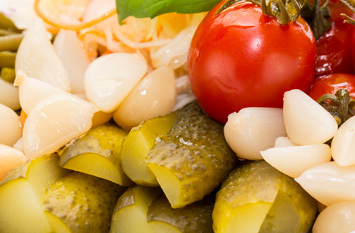 Probiotics influence gut health in powerful ways. While they can be sourced from capsules, regularly consuming living probiotic food provides the best impact for long-term gut health. Maintaining a community of healthy microbes is one of the most important aspects of healthy living. These beneficial microbes help us in many ways, including the suppression of harmful microbes that can make us sick. If dormant, freeze-dried microbes in capsules have beneficial influence over our gut health, imagine what living, thriving food-based probiotic bacteria can do. Trillions in every heaping forkful! 1. 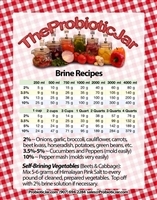 Fill the jar with clean, fresh sliced/shredded/chopped vegetables. 2. Pour brine over the vegetables, up to the neck, and slip the Brine Bowl into place. 3. Lock the lid, and twist the airlock, with added water, into the lid. While the optimal technique of fermenting is easy, the microbial process is not at all simple. The internet is teeming with less than accurate information, and some of it is downright dangerous. The tutorials on our site will teach you the bare basics, and if you would like more in-depth education, the Foundation for Functional Fermented Food offers an excellent Seminar (live and online). With this Seminar you dive in and build a solid foundation of the why's, the how-to's, and the do-not's of optimal functional fermenting. This will enable you to avoid the plethera of sub-optimal information on the internet. Many sites on the internet would have you believe that open crock and mason jar fermenting are traditional, but that is not so. For hundreds of years, quite sophisticated stoneware has been used with a moat to provide a perfect, oxygen-free environment. Prior to that, unglazed clay pots with lids were sealed with beeswax or beef tallow. 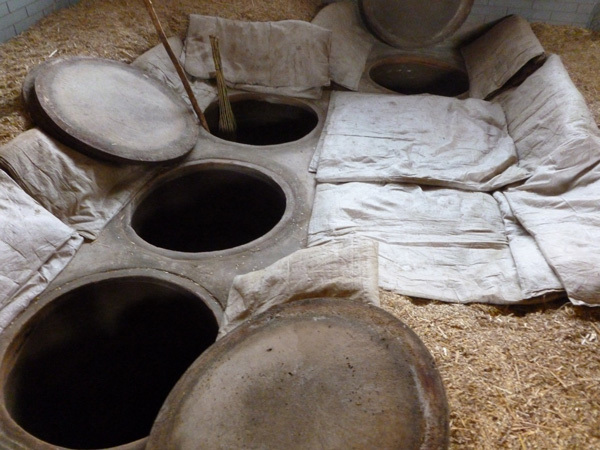 Those vessels allowed gasses to escape through the unglazed walls of the pot while keeping oxygen out at the seal. Just a few short years ago, a small group of fermenting teachers saw the need for a fermenting vessel that was easy to use which also provided a perfect seal. 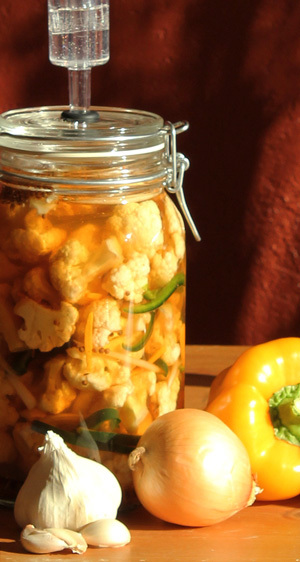 The key to fermenting for health is an anaerobic environment (not just keeping veggies under liquid), and allowing for gasses to escape. It is vital to ensure that not one molecule of oxygen can enter the vessel to feed mold, aerobic yeasts, or pathogens. Moreover, any vessel that leaks allows for mold and other spoilage microorganisms to enter during the fermenting process, which is not ideal. We accomplish this by cutting a perfectly sized hole in an all-glass lid, and then inserting a food-grade grommet. Even if the Airlock isn't placed perfectly, it will seal every time. This is what makes The Probiotic Jar unique. Each Probiotic Jar is precisely manufactured to exacting specifications and hand polished to ensure the long life of the grommet. 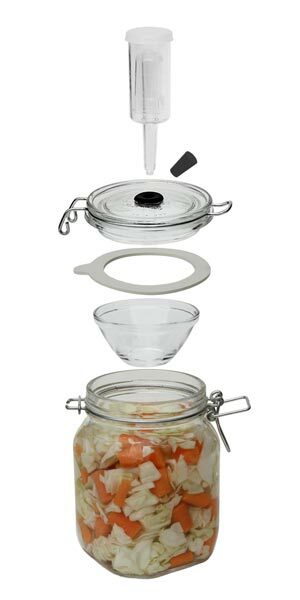 You can find fermenting vessels that look like a Probiotic Jar, but you won't find one manufactured with the care, precision, and performance of The Probiotic Jar.